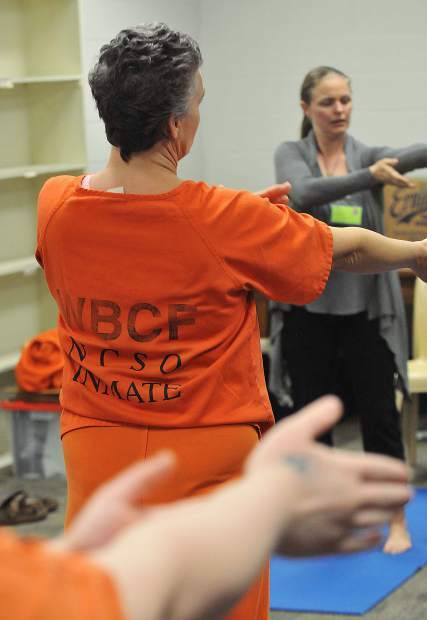 Nevada County local yoga and Ayurveda instructor Schuyler Bright leads a group of women inmates through a yoga session at the Women's Behavioral Correctional Facility in Nevada City. 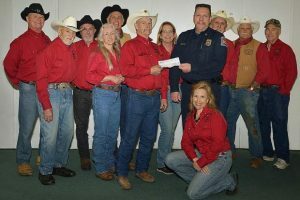 Nevada County jail inmates have been taking part in a meditative yoga practice offered by Schuyler Bright through the Mindfulness program. 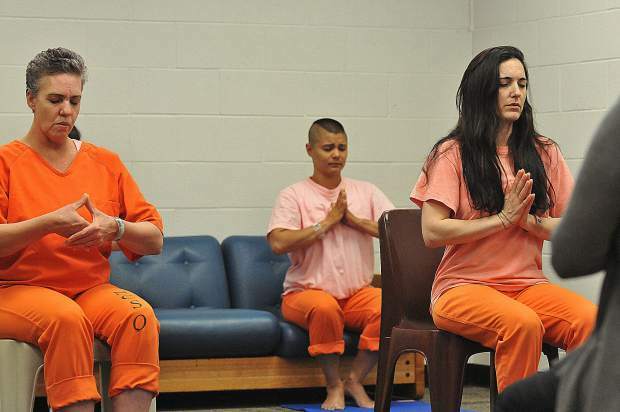 Nevada County local yoga and Ayurveda instructor Schuyler Bright, leads a group of women inmates through a yoga session at the Women's Behavioral Correctional Facility in Nevada County last week. 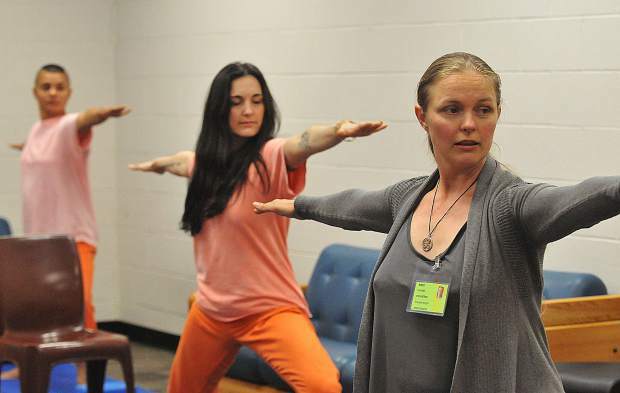 Nevada County jail inmates have been taking part in a meditative yoga clasees offered by Schuyler Bright and other instructors through the jail's Mindfulness Program. Inmates take part in the Mindfulness program's yoga session at the Wayne Brown Correctional Facility. 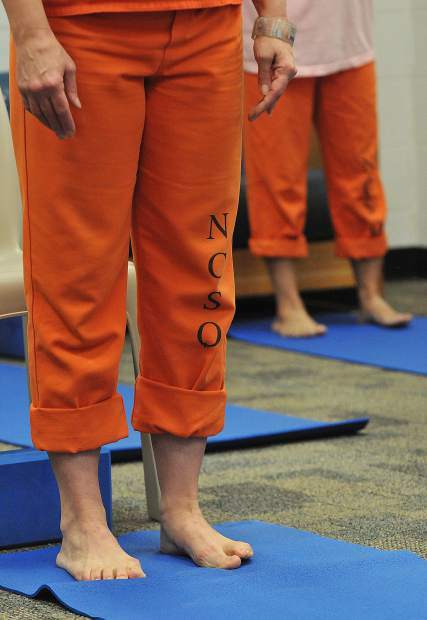 Nevada County inmates smile as they get to participate in the correctional facilities' yoga program. Jail yoga participants begin their session last Friday, led by Nevada County yoga and Ayurveda instructor Schuyler Bright. 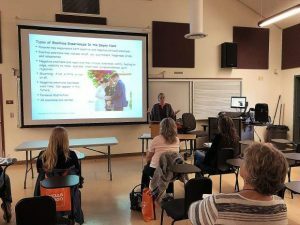 The stresses inside the Wayne Brown Correctional Facility in Nevada City can be moment to moment, say some female inmates. Having to be on alert 24 hours a day in an unpredictable environment can take a profound toll on one’s nervous system, say inmates, and there are very few opportunities for feelings of safety, peace and ever- elusive silence. That’s where Schuyler Bright comes in. As director of the Holistic Trauma Recovery Institute, Bright’s goal as a trauma-informed yoga instructor is to reach out to those who may never have attended a yoga class during the course of their everyday lives — especially those who may never have actively engaged in self healing or self care. Bright is part of a team of instructors who regularly come into the county jail to teach yoga and mindfulness to inmates. 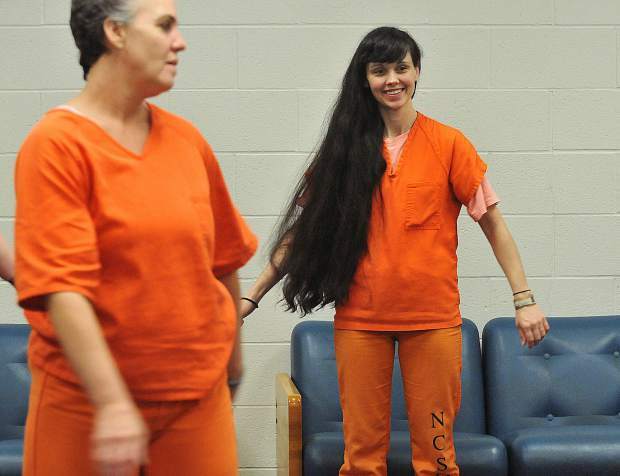 Bright talks openly about the time she herself spent time behind bars after relapsing and accidentally driving her car down a 50-foot embankment off Highway 49. Bright now attributes yoga, meditation and Ayurveda practices to her success in healing and recovery. She is now pregnant with her second child. But that’s old news to many of the inmates at Wayne Brown. Bright and her team of teachers say they see a profound benefit in the inmates who choose to participate. 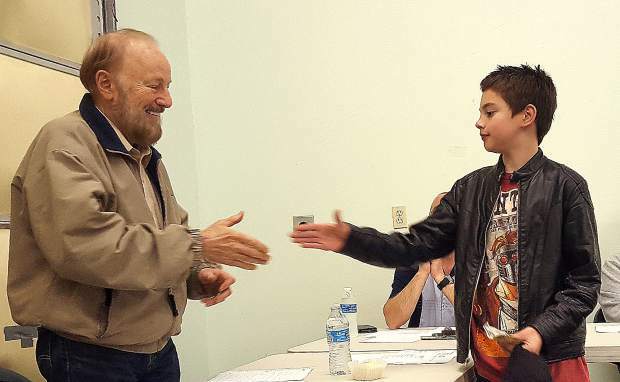 They often receive positive feedback, such as an increase in impulse control among those who say they might have been tempted to “mouth off” in the past. Some report more carefully considering the consequences of their actions. 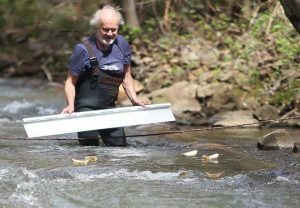 As a result, instructors are actively seeking grants to bolster their program.